IT managers and CTOs always are looking to ease themselves of the tedious tasks of upkeeping their onsite servers, now they have an option to utilize a remote data center. However, with recent innovations, onsite server rooms have also found ways for easy maintenance. So, as an IT decision maker, you are probably wondering which model should you utilize. Your choice will depend on your company’s requirements and needs. It is not a matter of which one is better than the other, but the one that best suits your business model and budget. Operation Control: The most important advantage is that the server facility is yours, including the task of maintaining and ensuring that it does what it is supposed to do. You, as the business owner or your company IT decision maker, have the sole control of the facility and you don’t need to worry about a third-party entity. The responsibility and the performance of power, cooling and network is by yourself. You are the one reviewing contractor’s agreements and pick the one which fits best to your model. Physical Security: You manage your own security, something that some public colocation datacenter facilities cannot ensure 100%. You can build the server room in a bomb proof underground shelter or place it in a mobile self-sustained container. Higher Access Bandwidth: Perhaps the main reason for building datacenters onsite, is access; once your data is on-site, you can design the network to take advantage of the latest and greatest networking gear. If your network performance is low, you may simply invest in more modern equipment and solve the problem. Your workstations, data storage and backup servers can talk in fraction of seconds. Operational Overhead: For one, you are responsible for its maintenance and that needs substantial workload allotment. Your technical team will need to ensure that the servers and the physical infrastructure are in tip-top shape. But if you have limited budget and when you want your technical and IT team to work on initiatives that will help grow the business, the team’s focus is divided. 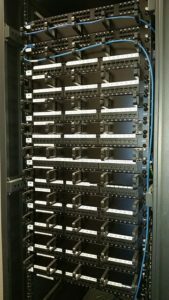 Electrical and Mechanical Overhead: Once you build an on-site server room, you need to take care of always-on power and cooling. This by itself can be costly and sometimes not even doable. Many office buildings would not allow tenants to setup a dedicated power generator or install a cooling system separate from building HCAV. Data Security: By keeping your data in one physical location, backup initiatives are futile. In cases of fire, flood, earthquake or theft, your company might end up losing all stored data without the possibility of recovery. Connectivity Concerns: There are limitations in expanding to new locations because your company will need to find some reliable solutions to keep satellite offices connected to the main headquarters, rather than connecting to a facility offsite, something which data centers can provide. Lower Client Access Bandwidth: Yes, your servers are on-site and employees can access web or mobile applications with a blazing fast speed but how is it accessible from outside world or when your employee working mobile or from home. 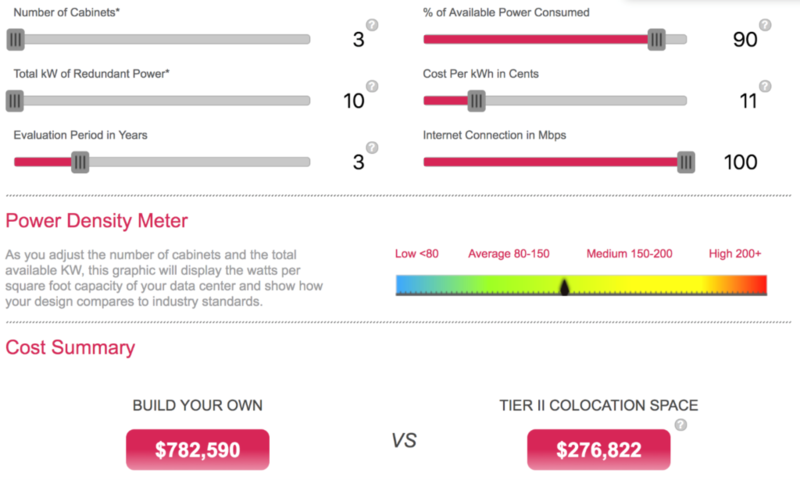 if you build a proper server room for 3 racks, 10 kW power and 100 Mbps Internet, the total cost of ownership (Built and Operate) will be over $600,000 while collocating the same 3 racks within a public datacenter provider like Nuday, lowers the cost to around $100,000 for the same 3 years. Network Bandwidth, Redundancy and Protection: Relying on an onsite data center ensures that your company is less prune to network outages since most datacenters have more than one IP transit providers, multiple fiber links and use multi-homing BGP design. At the same time because of bigger pool of customers, datacenters have much higher network capacity which is more resilient to DDoS attacks. And finally, corporate clients or mobile employees have a higher access bandwidth to your corporate content. Outsourced Liability: One of the biggest challenge for IT managers is dealing with employee’s human faults in a mission critical environments like server rooms and when that happens, the best they can do is to include that employee’s performance report; but when you sign a contract with a datacenter, they provide you with a service level agreement (SLA) and failure in meeting that has financial and contractual consequences for them. Dependency: When you outsource your data requirements, your company might become partially dependent on the third-party data center for everything – infrastructure maintenance, network uptime and physical security. Limited Physical Access: One of the legacy disadvantages of outsourcing server rooms to datacenters has been the physical access to servers for maintenance. Server administrators needed console access to servers and networking gear to setup, monitor or maintain the data operation. However, with the major advancements in virtualization, clustering, high availability, ILO-IDRAC-IPMI, remote management switches and out of band networks, this issue is less of a concern. Limited Network Access: One of the challenges of outsourcing corporate server rooms to datacenters, used to be the network access. However, these days more office buildings are on-net with one or few fiber optic providers and 1GB and 10GB layer-2 connection between datacenters and corporate offices are not very expensive. 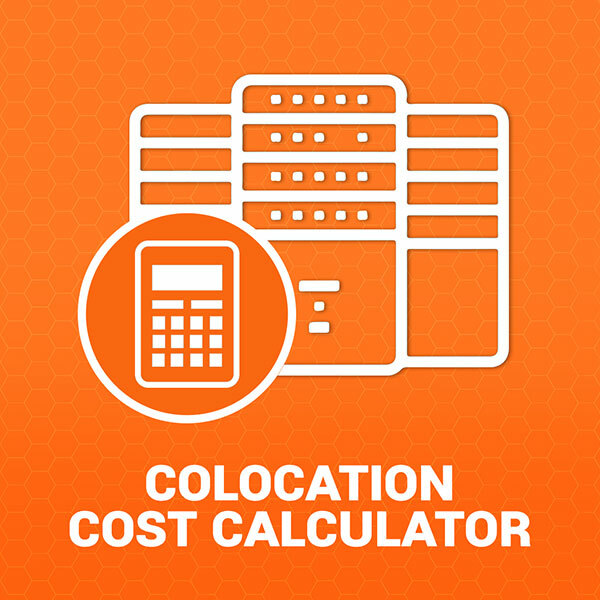 There are a lot of factors to consider when deciding which option is best suited for your company’s needs, but there is a high chance that you cannot outsource some part of your corporate data infrastructure to datacenters but considering the high cost of building an on-site server room, the low cost of layer-2 fiber cross connects between offices and datacenters and the low cost of colocation services due to higher market competition, stability wise and financially it makes a logical sense to outsource most of your corporate infrastructure to public datacenters. To help you decide, you might want to consult with an industry expert who can help you weigh in on the pros and cons of each solution and your company will stand a better chance of making the right move.